James and Evelyn love bath time the sheer mention of bath sees them both heading up the stairs quicker than Usain bolt of the starting line! Evelyn loves to splash especially if mummy or daddy are close enough that she can get us wet too with the end result usually being our bathroom looking a tad waterlogged. James seems to think our bath is a miniature swimming pool and pretends he's a shark or spends more time with his head under the water than above! Tonight I wanted to make bathtime a little more fun and so I made them both a special bath a "glow bath". I simply ran the bath as usual with lots of bubbles and then popped several glow sticks into it then switched of the bathroom light to surprise them. James' face was a picture when he saw it and he couldn't wait to get in. 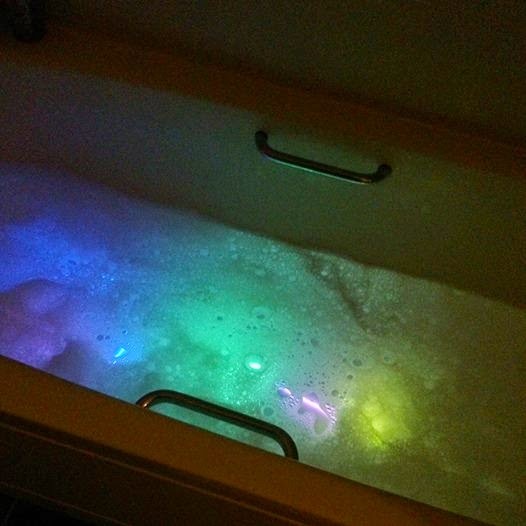 If you didn't want to use glow sticks you can buy a bath disco light too! This got me thinking about different ways of making bath times more fun and here are some of the ideas I found. Do you have a budding little artist or a child who likes to doodle? then this could be a great way to make bath times fun. 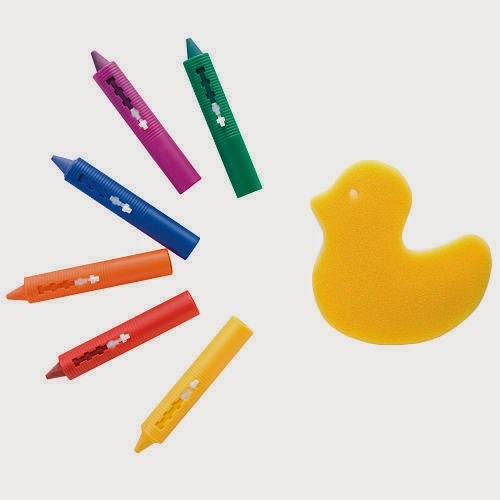 Children can use these bath crayons to draw on the side of the bath/ tiles and their doodles are simply washed away when they are finished. 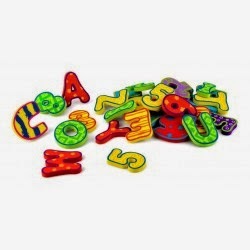 Since starting school James has been really enthusiastic about sounding out and spelling everything so we purchased some bath alphabet letters like these from Nuby to use at bath time. 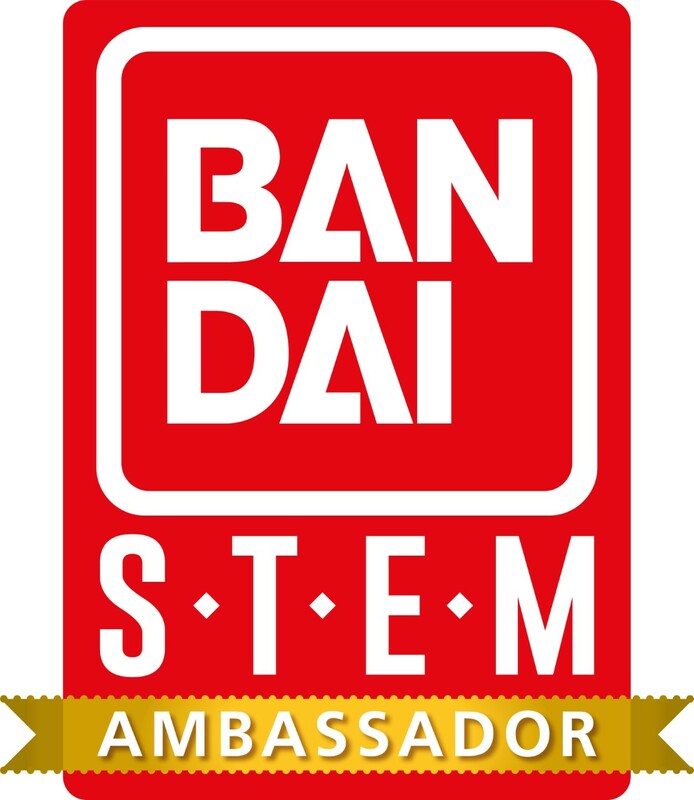 They are not only fun but educational as well. We try and encourage James to spell his name or his sisters name and he has great fun. Most children love bubbles so a bath time with extra bubbles is sure to be a big hit right!? How cute is this penguin bubble blower from Munchkin. The one above features suction cups on the back so you attach it to the tiles and fill the bathroom with bubbles and let the children try and pop them and they come down. 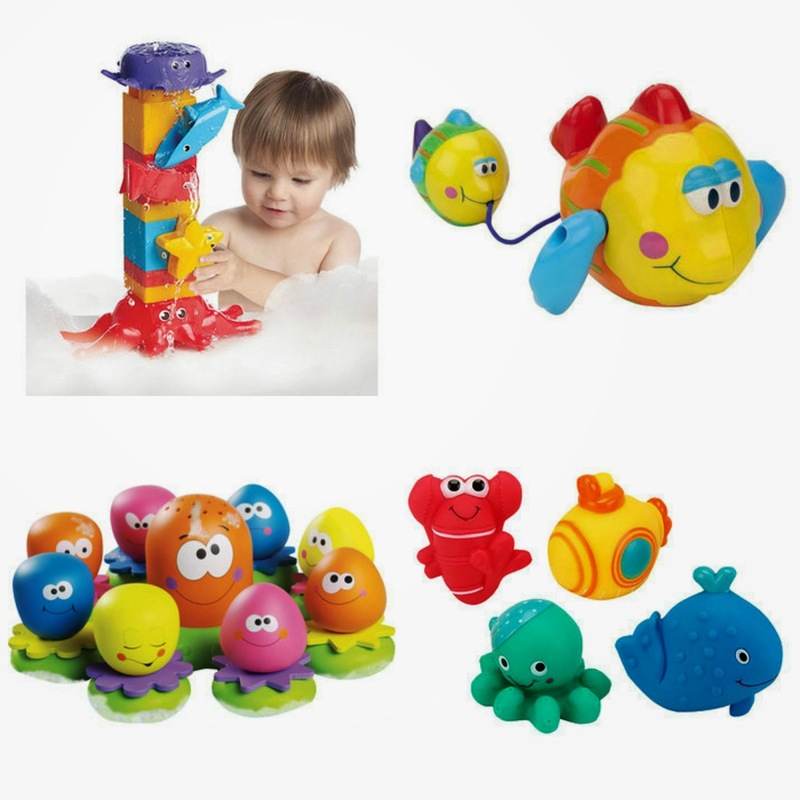 There are so many bath toys on the market now that you are sure to find some that your children will love. James favourite are the type that squirt water (these are not my favourite as I am usually the one getting sprayed with water lol!) These are a great addition to any children's bath and can provide lots of fun and entertainment for children of varying ages. Here are a few of our favourites above. my personal favourite is the Mega bloks Build 'n' splash set which we found on the Toys R Us website. Do you have any fab ideas to make bath time more fun or do your children have a favourite bath time activity or toy? That looks brilliant. I've just bought my kiddies some underwater coloured lights for a Valentine's surprise. Can't wait to fill the bath and show them. My boys love glow stick baths! We also have those whistles that change notes with water in - noisy but fun! oh i am so loving that glow stick idea! .. is it wrong i would like to do it myself? 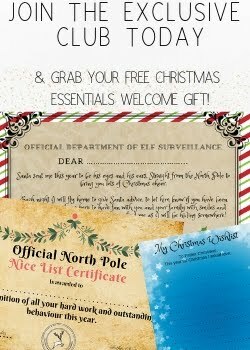 This is such a brilliant idea!! I love it and more importantly I know my kids will too! Brilliant!